This won’t be a terribly long post as lately I have been experiencing general fatigue and brain fog since the massive ramping up of solar flares and CMEs this last week. I have been very intrigued by the connection between the activity of the Sun and human behavior here on the planet and how these two things are intimately connected. Also, we were not told that the Sun was going to ‘sneeze’ soon? It definitely appears to look like the Sun is using Earth as its sleeve, sneezing one burst of ‘love’ and ‘Ascension’ at us after another. 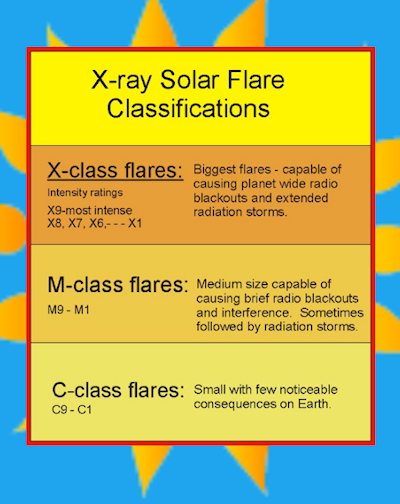 As I wrote in one of my last posts this last X-Class solar flare, which is estimated to be in the possible X10-X20+ range due to its size comparison to the last X9 which occurred earlier this week, occurred at pretty much the exact moment everyone would have started meditating. I mean just think about that for a moment, one of the biggest solar flares ever happened immediately after we started our group meditation to dissolve hurricane Irma. Was that us? Was it a coincidence? Was our collective consciousness sending out a coherent signal to Source that we are ready for more cooperation, especially regarding The Event? It seems to be that way. And it seems to feel that way. Sometimes it’s easy to forget that we are literally saving a planet and its unawakened (for now) inhabitants from total destruction. I don’t include that to sound prideful or to put down anyone, but sometimes it’s important to feel the gravity of the situation and acknowledge what is happening before our eyes, to make it seem real. (Bibliotecapleyades) “The influence of the Sun on the human organism results in chemical changes in the pigment of the skin, in the chaining of the heart-beat, in the alterations in the chemical composition of the blood and the latter results in changes in the general condition of the organism and its nervous tonicity. Do the periodical changes of the Sun’s activity resulting in the amount of the emitted innumerable streams of electrical particles and electromagnetic waves also have an influence upon humanity? The other solar flares occurred shortly after our eclipse meditation and even closer after the time the Black Stone was removed. Those events including our recent meditations were pretty important as far as the plans to liberate this planet goes. There is much more than this but what has been written is what I felt guided to share with you all at this time. I think the upcoming days and weeks are going to be amazing as the remaining Primary Anomaly will be erased from the Universe forever and hopefully that will be the day of the Event. I am not saying it will for sure happen then or not as it can happen at any moment, especially since our meditations speed things up a lot of times. P.S. Here is an article I found from The Event Chronicle about the effect of the sun on human consciousness that goes into depth if someone would find that more interesting. It’s another forested area. I choose the species of tree to plant. Along the coastline we do not have a wide selection. Mostly Douglas fir trees and Coastal Redwood trees. The section we care for is included in a very old San dunes area. Living in/with nature is most wonderful. Thanks Treefarm, one day i’d like to visit a tree farm…it sounds amazing =] Light and love.